Recognised globally, Creative Review aims to inspire, inform and stimulate debate among their readers in graphic design, advertising, digital media, illustration, photography and all other fields of visual communication worldwide. 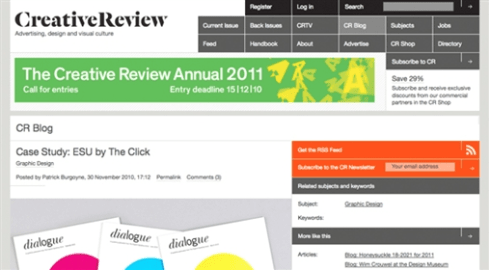 With subscribers in over 80 countries and readers online in over 120, Creative Review features the best work in the creative industries. With this in mind, we were delighted to discover our work being published on their website this month – twice! First up, our identity for Burlingham Woodland Walks was featured on the home page as part of their ‘Feed’. 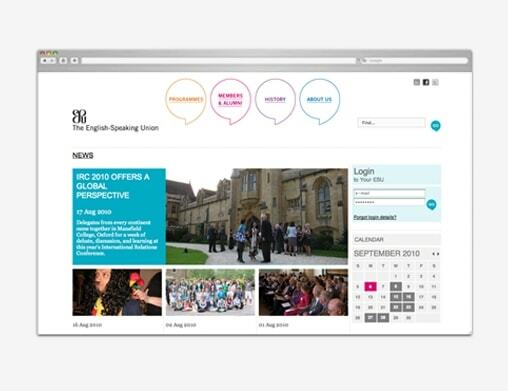 Secondly, our work for The English-Speaking Union (ESU) was featured in the Creative Review Blog. Read Patrick Burgoyne’s (CR editor) article here.